Weasyl was founded in 2012 as a general art site, but swiftly became a furry-centric community with the unstated goal of unseating Fur Affinity from its dominant position. On paper, it has the features to make it happen, but it doesn't – yet – have the traffic. A favourite of social justice activists and those wary of downtime. 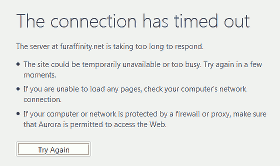 On January 15, Fur Affinity made its latest announcement of its intention to revamp their site. This new effort, code named Project Pheonix, is intended to bring massive updated to the site's interface to make it more user friendly, as well as incorporate a simplification of rules and decrease response time to trouble tickets. However, the news caused a stir as it was stated that Adam Wan, known in the fandom as Zaush, would be leading the user interface development. Major controversy has shadowed Mr. Wan following the note leaks back in late 2010 revealed a private correspondence where an individual went to Dragoneer to discuss the possibility of going public with their experiences of sexual abuses committed against them by Mr. Wan. In that correspondence Dragoneer told the alleged victim they believed taking this action was not a good idea as making such public accusations would lead to public backlash against both the accused and the accuser. The victim took that advise and did not go public. Only after the security leak did the public get a hold of these accusations. 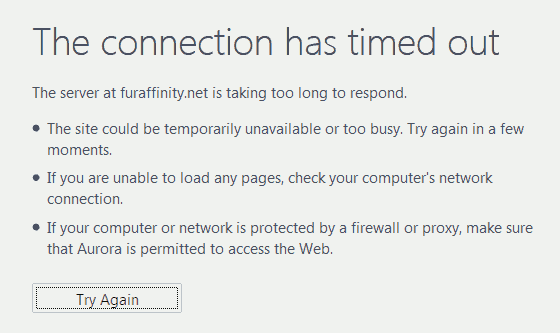 Nearly five days have passed since Fur Affinity entered read-only mode, and despite ongoing staff efforts, the interruption has led many users to mull alternatives. The problem is, this was unplanned downtime. […] If it was planned […] people would have had time to get things together. Such as commissioners, contests, bids, etc. and where to get in contact or if the bids/auctions are postponed while the site is down. Operations team lead yak began an attempt to clear backlogged database transactions on Monday afternoon "as fast as the RAID10 array of 15k drives allow". A day later, FA status forum poster Raptros reported that the database would be transferred to a different server. Staff then reported "waiting on two new hard drives to come in" to replace failed hardware, which they did on Friday afternoon. Advertisers were given ten extra days in compensation. The last of the data is importing, and we'll be standing by to finish the upgrades. ETA should be tonight. [The current method of notification handling] is not scalable and quickly becomes unsustainable for sites with 10^5 and 10^6 users. Staff have rewritten queries, tweaked database settings, and intend to prune notifications older than 90 days soon after the site returns. Update 3 (17 Dec): Fur Affinity came online for a few minutes before stalling and returning to read-only mode, "unable to handle a flood of users while rebuilding the RAID arrays". The site returned eight hours later, with mass notification clearing options disabled. 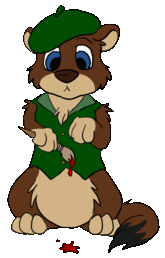 Users flooded social networks to complain about the disruption and compare alternate sites; primarily Inkbunny, SoFurry and Weasyl. On FA's forums, a 20-page thread was locked after discussion degenerated; it was soon replaced, while fans clamoured for software upgrades. 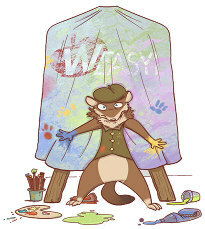 A new site is to open this year: Weasyl, for "artists of all kinds". But they need money to do so…and the countdown ends Tuesday. If funding falls short, the group will still be paid, but must forfeit an additional 5% - up to $250 - as well as the regular fee of up to 7%. Update (30 Jul): The goal is met; funding is still open until Aug 1. Update 2: The total raised was $6015. A variety of artists are offering services to donors, who can also receive paid site access, ad space, and merchandise. Staff plan to use cloud hosting (Amazon S3 and EC2), rather than purchase their own servers. The site is being organized by a team of eighteen, headed by co-owners Benchilla and Kihari, and lead admin Taw Echo. Three staff gave an hour-long presentation at Anthrocon 2012. Members also promoted the site at this year's FWA.